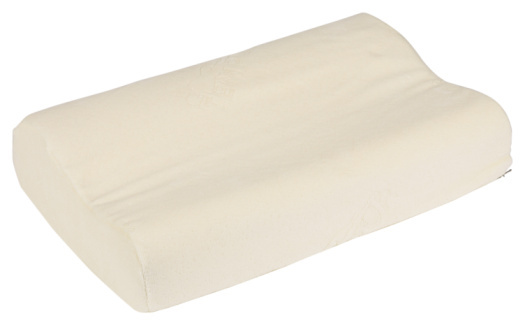 A contour pillow is manufactured from several different materials, including foam, latex and memory foam and comes in a variety of sizes. The "contour" that makes the pillow different is intended to aid people with several issues, from neck and back pain to snoring. Learning how to sleep on a contour pillow is an adjustment that might take several days or weeks. With a little persistence, the benefits of a contour pillow can be well worth the change. People that sleep on their side or back might have more trouble adjusting to a contour pillow. Locate a contour pillow that fits your needs and budget. The price of these pillows varies by the materials used, size and manufacturer. Choose a pillow that is either recommended by a doctor or physical therapist, is the correct size for your body and fits your budget. Remove the pillow from the packaging and allow it to remain unused for at least 24 hours. This allows the pillow to reach its full shape and remove any odors collected by the pillow while it was packaged. Cover the contour pillow with a pillowcase. 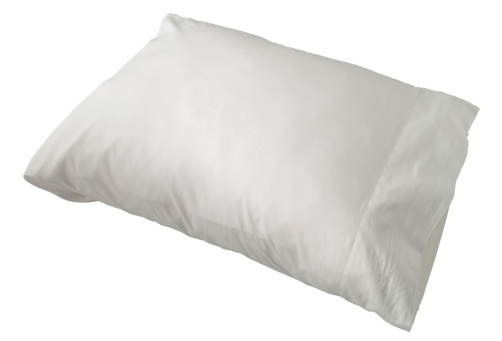 A standard pillowcase is acceptable, although there are cases especially made for contour pillows. Remove all of the standard pillows from your side of the bed and set the contour pillow down, with the contoured side up, onto the bed. Lie down so that your neck and head are resting comfortably in the pillow's contour. Hold your head straight so that you are looking up at the ceiling. Avoid slumping your head so that your chin is being pressed up against your neck. This can constrict your airway, making any snoring issues even worse. Continue to use the contour pillow every night to give you time to adjust. It may take several days or weeks to become used to this posture, especially if you are naturally a side or stomach sleeper.